Often when a person is appointed to serve as the executor (if there was a will) or administrator (if there was not a will) of a family member or friend’s estate they have not had experience with the role or process. This post provides a basic primer on what to expect. An estate executor manages the administration process. The executor is usually named in the deceased person’s will. 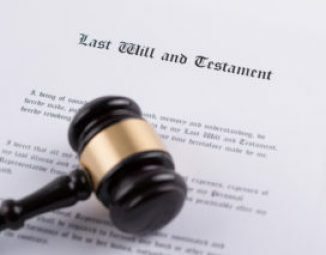 However, if someone dies without a will or his or her will does not name an executor, the county Register of Wills (in Pennsylvania) or Surrogate (in New Jersey) appoints one. The executor must first qualify as the estate’s personal representative through a petition process. If the petition is successful, the individual is granted Letters Testamentary (for a will) or Letters of Administration (if no will). These Letters are evidence of the executor’s authority to administer the estate, and can be used as proof of this authority when dealing with banks and similar entities. – Advertising the estate. In Pennsylvania, for three weeks in a legal newspaper (ex: The Legal Intelligencer or The Pittsburgh Legal Journal) and newspaper of general circulation (ex: The Philadelphia Inquirer or The Pittsburgh Post-Gazette). This step is optional in New Jersey. 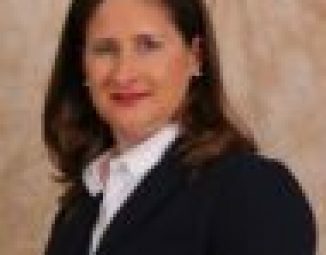 – Safeguarding and collecting estate assets. For example, making sure that the decedent’s home is secured, or storing valuables like jewelry in a safe deposit box. – Notifying the Estate’s Beneficiaries or Heirs. Mailing to the beneficiaries or heirs official notice of the decedent’s death and that the executor was appointed. Such notice may include information on the right to distribution of estate assets. – File an Estate Inventory. The inventory is a list of assets in the decedent’s sole name at his or her death. – Pay Estate Expenses, Taxes and Debts. For example, funeral and burial costs, and estate administration costs (including attorney or accounting fees). – Pay State “Death” Taxes. In Pennsylvania, for example, all estate property and any property worth over $3,000 that is transferred by the decedent within one year of his or her death is subject to state inheritance tax. In New Jersey, the inheritance tax is based on the relationship of the beneficiary to the decedent, and the estate tax is payable dependent on the value of the estate (in 2017, estate’s over $2 million are taxable and beginning in 2018 the estate tax is scheduled to be repealed). – Pay Federal Estate Tax, if applicable. Federal estate tax is due on estates worth more than $5,450,000 (for 2017). – File with the State.In Pennsylvania, file Status Reports with the county Register of Wills and in New Jersey, file a Refunding Bond. – Distribute Estate Assets and Close the Estate. Distribution of assets—for example, property owned by the decedent— to the beneficiaries. This is the ultimate goal of estate administration. Estate administration can be lengthy and complicated, and a trusts and estates attorney can help guide an executor through the process. *The author would like to acknowledge Emily Friedman for providing assistance with the research and writing of this article.